We just finished reading a whole bunch of Rainbow Books and several of them featured leprechauns with pots of gold. 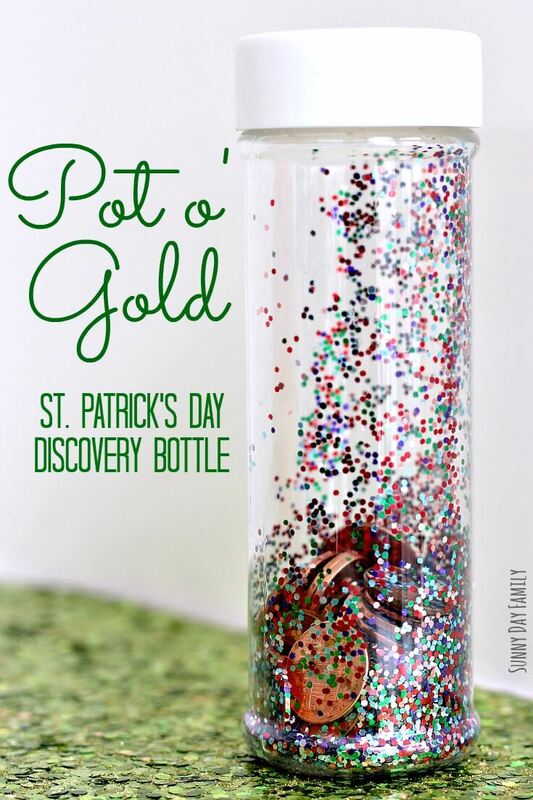 Since St. Patrick's Day is coming soon I thought it would be super fun to give the boys their own little "pots of gold" to find, in a rainbow themed discovery bottle. I tried a bunch of different recipes for this one and couldn't get any of them quite right, so I tried something really easy and it worked like a charm. The boys loved them, and it only took two ingredients to make! 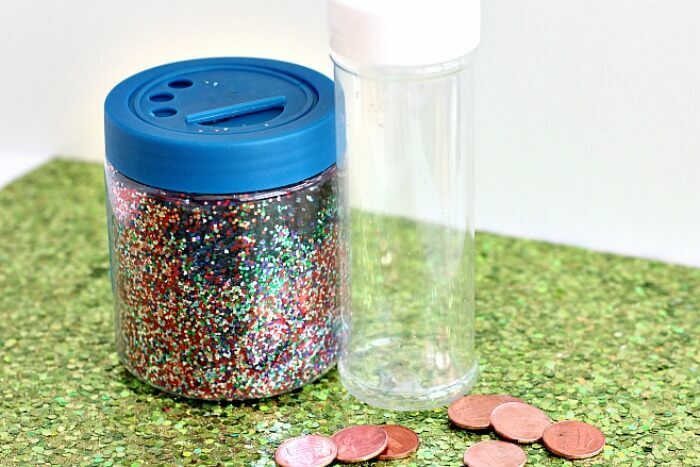 10-15 pennies - the shinier the better! That's it! 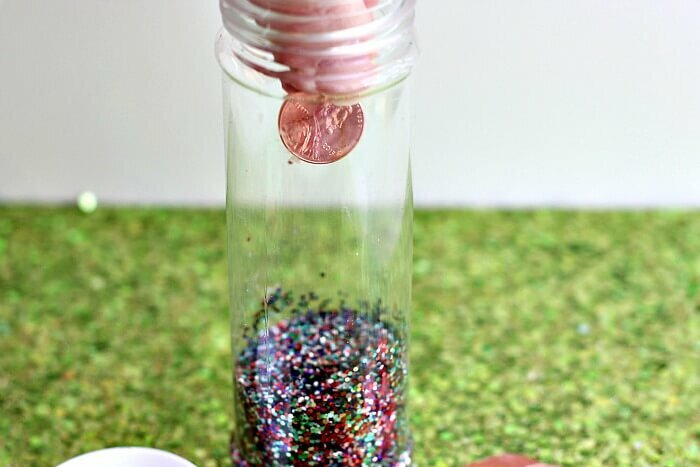 First, add the glitter to the bottom of your jar. Don't overdo it or you won't be able to see the pennies inside (trust me). Make a layer about 1/2 inch thick. Then drop your pennies in. 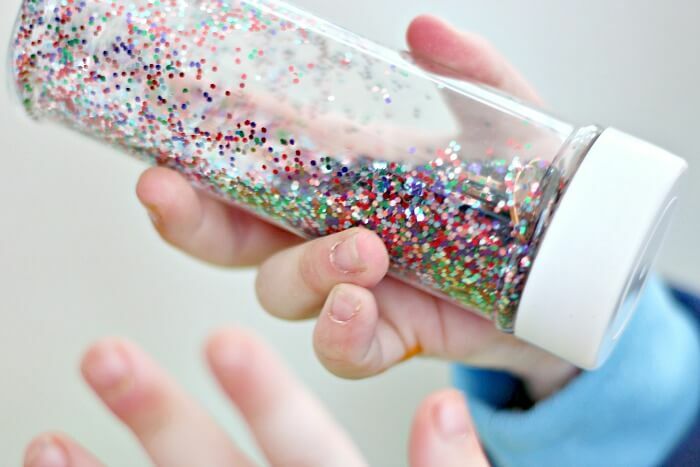 Close it up (you may want to glue the top so that you don't have glitter everywhere if your kids accidentally open it up). 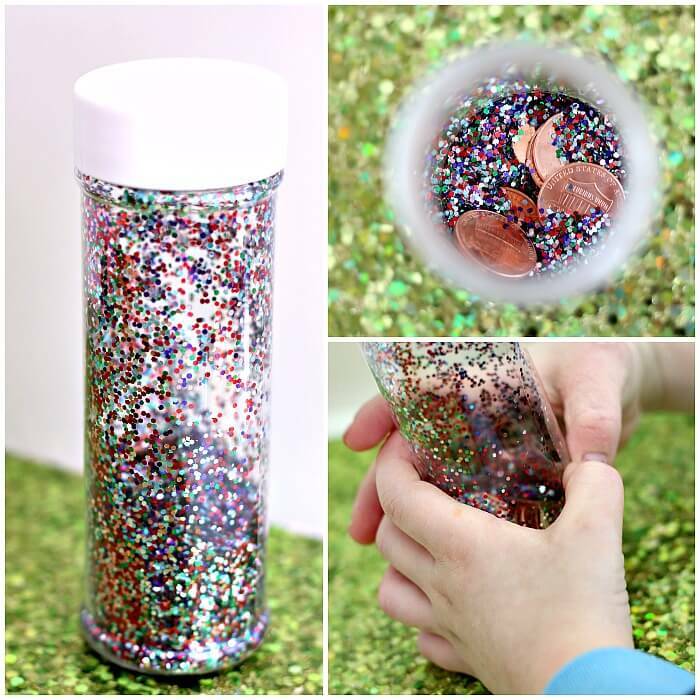 Now you've got a pot of "gold" to discover in a rainbow of glitter! 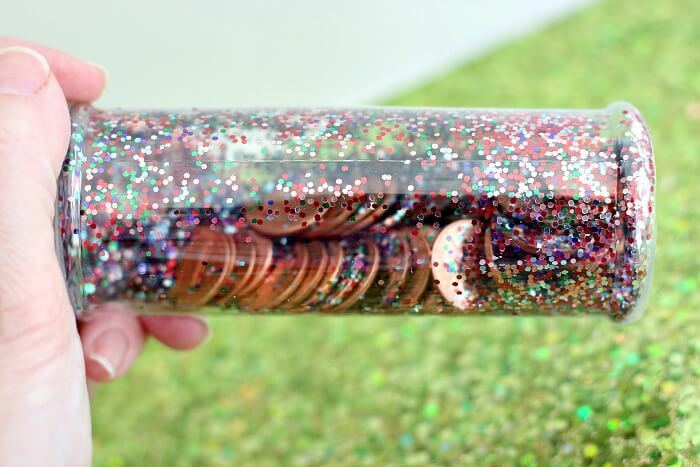 Some of the glitter will stick to the inside of the bottle, making it really pretty and fun to peek inside to find the coins. My boys couldn't wait to check it out - and I'll admit I was a bit mesmerized by it too. First they wanted to search for and count all of the pennies. Counting is big right now and they loved finding the "gold" and counting how many coins there were inside. Then they discovered that it was really fun to shake! 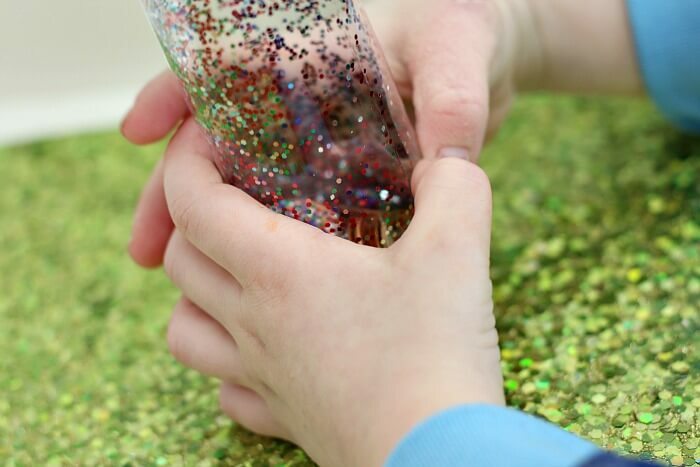 They loved watching the glitter and the coins fall inside the bottle, and we found that it doubled as a great music maker too. Perfect for listening to some of our favorite Irish tunes to get ready for St. Patrick's Day!